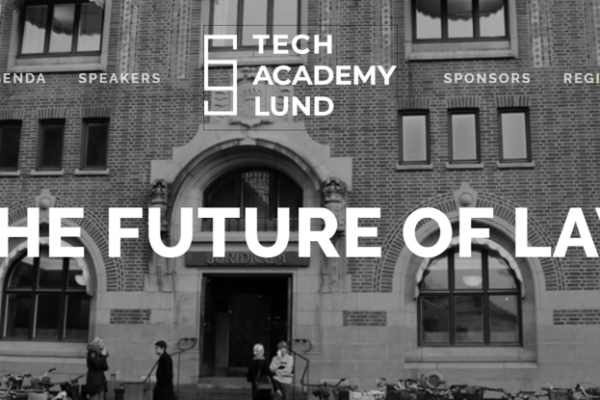 VQ founders Helena Hallgarn and Ann Björk will join the Tech Academy at Lund University to share their insights on how to think differently about the world of tech law, and on how to embrace the challenges that come with the future of digitalization. Tech Academy is a unique two-day program and the first of its kind at Lund University tailored to law students at the Law Faculty attending master courses interested in innovative and emerging technologies such as artificial intelligence, blockchain and smart contracts. VQ will participate as speakers under the second day focusing on legal application and trends and will hold a presentation about ”Future trends and your role in the new legal landscape”. Other lecturers at Tech Academy includes inter alia Mateo Davis, Head of Legal and Compliance EMEA at Sony Mobile, Daniel Akenine, who is working for the Microsoft Technology Office on the long term impact of technology on social and economic development, Niluka Satharasinghe, Cofounder & CTO at Sparrho, Markus Mild, Regulatory Strategist & Principal Compliance analyst at Nasdaq, and Jeffery Atik, Professor of Law and Jacob Becker Fellow at Loyola Law School in Los Angeles and Guest Professor of Civil Law at Lund, who writes on artificial intelligence and the law, SmartContracts and cryptoeconomics, intellectual property and competition law issues.